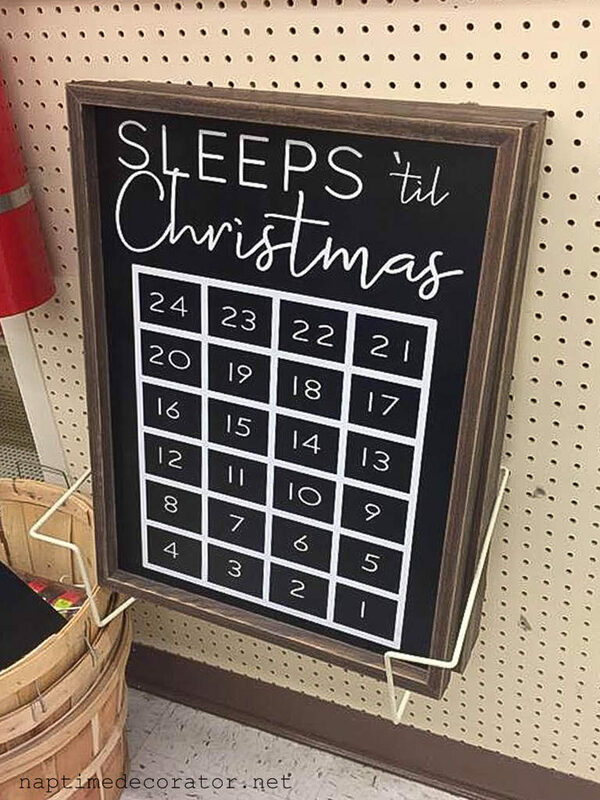 Remember on that Favorite Things Friday post, when I shared this super cute chalkboard art at Hobby Lobby? 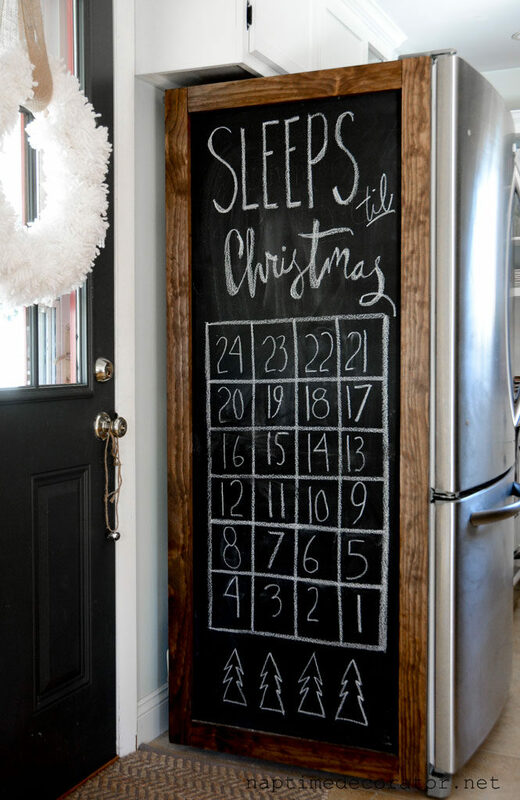 I knew I wanted to do something similar on our chalkboard fridge. It’s where we always do some sort of countdown, so it just seemed perfect! So I grabbed a piece of chalk and about five minutes later…ta da! 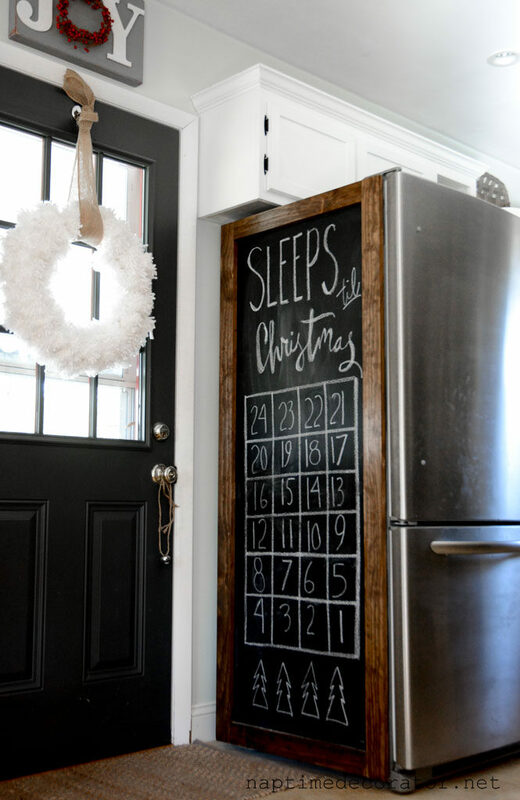 I still think this chalkboard fridge is one of my favorite things I’ve done, and it was one of my very first Naptime projects. 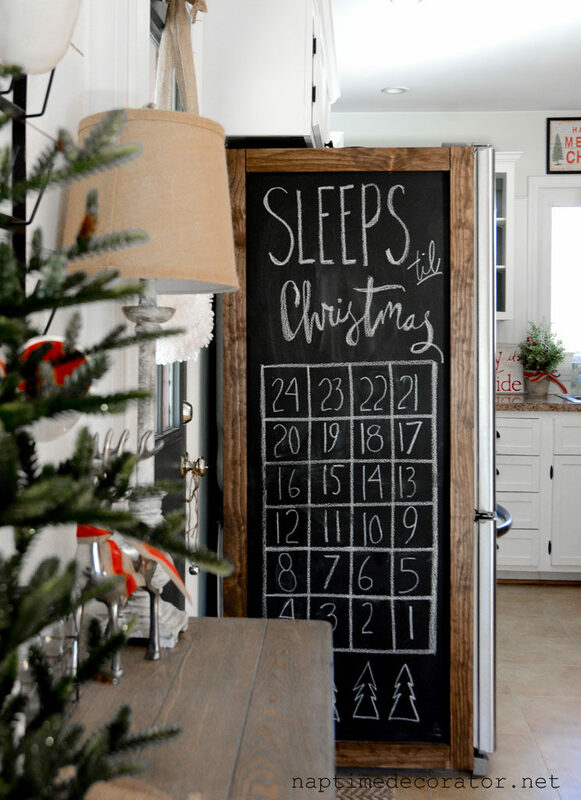 I don’t care what anyone says about the trends, I still adore a good chalkboard! Alright, lots more left to show you, but right now there’s a tree and family waiting for me! Time to get the hot cocoa and candy canes out — have a great night! Honestly: I was too busy looking at your cute chalkboard to notice the fingerprints!